By thy words thou shalt be justified, and by thy words thou shalt be condemned. Of course, one may believe that this isn’t the era of the saints, that the era of the saints has passed. But as I once wrote, it is always the era of the saints. You did not suffer custodians but pupils to come to you. At a funeral Mass the deceased’s eldest son, who has not been to Mass in years, gets up to receive Communion. At a Holy Day Mass, two visibly bored teenagers, dragooned to church by their mother, get up to receive Communion. What priest, knowing that, observing this, would deny the three the Eucharist? We, whose teacher said, Why callest thou me good? there is none good but one, that is, God (Matthew 19:17)—why are we so free and easy with the word “great”? In future we shall hear less of America as the exception. Soon true religion will be sought as people ask, To Whom shall we go? Art, too, can be ascetic. One prays, not to go back, but to go forward. These letters refer to the original version of Gospel Scenes. —to write, because I am moved. You have done a beautiful job of condensation and re-wording. Your prose is limpid and strong and you translate into the vernacular without once vulgarizing or being clever. The two or three marginal queries I permitted myself have to to do with what are most likely slips of the pen. But what is your intention for the whole? You speak rather bitterly of addressing those who don’t heed, or can’t. Did you hope for a pamphlet or very small book giving the entire story and wisdom in an hour’s reading? By whom? That’s the diagnostic question. There’s no doubt in my mind that anybody would be the better for reading your elegant, eloquent resume and anybody would want to read it who knows how the effort would be repaid. But how do you catch your fish?—to use a symbol drawn from your very story. Give me some idea of the total length and of the intended public and I’ll think further of how to get your work into print. I have reread your entire script and find it very good indeed. 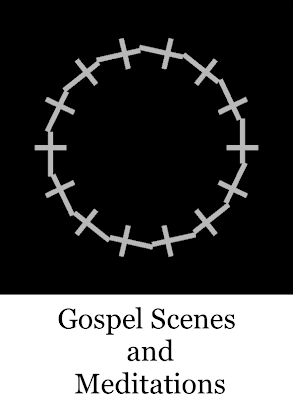 It is moving and also fresh—new, not solely because of your diction, which is colloquial without being smart-aleck, but rather because of the juxtapositions you make, which produce the effect of a fifth gospel. I think you should publish, and I shall begin by finding out whether this firm would consider the work salable. Not every publisher has the same access to the various parts of the public and it is important to match any given work with the proper means of access. Meantime I return the typescript to you for one more re-viewing and revising. I have marked a few things in the margins and have a question or two. When you have Jesus quote Isaiah or Elijah or the Psalms, you use the language of the familiar Bible— A.V. or A.V.R. Is that the best thing to do? You want to show, of course, that Jesus is speaking an ancient text, i.e., archaic to him and his hearers. But can’t you make it archaic enough in syntax and possibly diction, without using thee and thou and the corresponding forms, which to us bring back the atmosphere that the rest of your book avoids? I would strongly urge your creating all your effects de novo and bring Isaiah et al nearer to us also. Again, here and there in your text are inversions and other constructions that do not go well with the judicious vernacular you have adopted as your tone. Try to catch every jarring note and remove it. I do not include in this stricture the few passages where Jesus utters a long, oratorical homily or invective. There tone can rise to poetry without spoiling your scheme. P.S. One thing more—you repeat parables (e.g. the man who invited the wedding guests who begged off) and other, smaller bits. Do you intend this or not?